Pickup truck are a great tool for the workforce in many places, but how about a truck with the performance, that is meant more for fun and less for work? 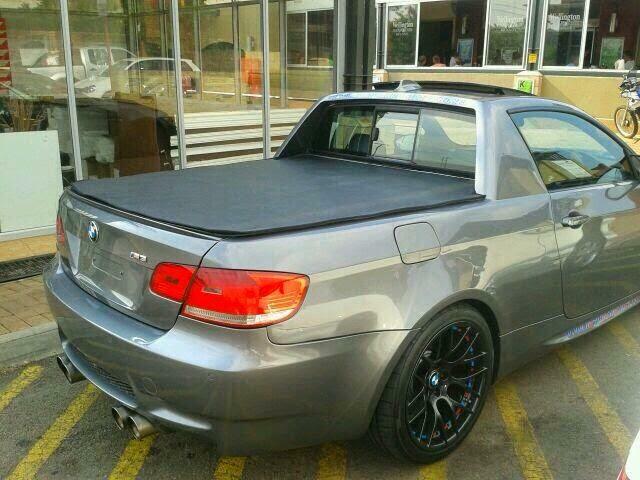 Well, the answer is BMW M3 pickup. Don’t be excited, it isn’t the official product of the BMW, but a private owner decided to turn its high-performance M-series coupe into a powerful pickup for different sort of fun in South Africa. 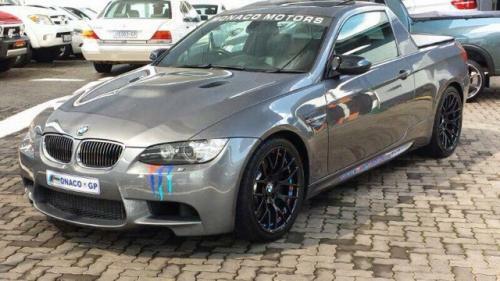 Spotted in Pretoria, the aftermarket guys had performed their job very precisely. A sunroof, a black bed cover, and a cut for the rear window in the center are all that can be taken notice of in the images surfaced. So anyone out there wishes to convert their M-Series Bimmer into a performance pickup can lend us know what the has made them to do so by commenting in the box below.